1. Understand that this is just going to be a little difficult for the initial few days. Once you are accustomed to the drinking you will have a smooth way forward. So never give up! 2. Analyze your daily routine and identify the maximum time you spend at one place. For Eg: Come what may, I am on my office desk from 8am to 5pm. So, I have kept my 1L Tupperware bottle there. 3. Place the bottle such that you can see it all the time. Every time you notice it, you are reminded about the new routine you are trying to follow. I have kept mine right next to my monitor. 4. Have your own bottle. 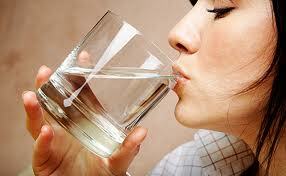 You get to be more hygienic and can easily determine the number of liters you gulp down in a day. 5. Keep deadlines: I make sure I finish 1L bottle in the 1st half. 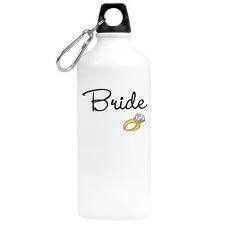 In case I forget about me being a bride coz of too much work load, I try to finish the bottle before I go for lunch. And consequently about 2L before I leave office, coz I know I barely drink water when I am at home/travelling. 7. At least for the first few days, before going to sleep analyze how much water you had that day. Will help you rectify your mistakes tomorrow. 9. Have coconut water every day. Works wonders for your hair and skin. Plus, it deliciously compensates your bad habits. One of the many things that my fiancé and I differed in was the water consumption pattern we followed. He drinks too much water throughout the day. When the jamai raja comes home my mom proudly gets a glass and a one liter bottle of water. He merrily gulps down 2 glasses of water in one go while my dad watches him in appreciation and then gives me a look which says "this is how you should drink water!” On the other hand, I barely used to drink a glass of water (at max) after every meal (i.e thrice a day)! Even on days when I had no work other than dreaming about the wedding. So if I can now manage to drink 2-3L of water per day without trouble – What are you waiting for? Lol! Amusing post! I have also bought myself a 1 litre bottle I keep next to my desk. The only problem I face is - the AC in my office keeps it SO cold that I just don't feel thirsty - kind of like having winters in summer! And u are VERY right about coconut water. I had become a regular, but recently I forgot about it. Thankfully, just yesterday I was showing my mother my blog and re-read my own advice of having coconut water daily. Went out and bought 3 nariyals yday! :) oh and yes, it DOES work. About coconut water: to honestly confess, even I was a regular till a few weeks back. I need to jump start again! !